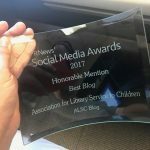 If possible, make room in your displays and programming for a succinct explanation of what a book challenge is, and why libraries keep track of challenges. An actual banning— a book being made completely unavailable to young readers— is nowhere near as common as a challenge to restrict access (successful or otherwise), and as the ALA Office of Intellectual Freedom’s history of Banned Book Week notes, this is in part due to advocacy of librarians and teachers such as this very week. By drawing a distinction between the two terms and framing Banned Books Week as a celebration of the wide availability of diverse literature for young people (despite what the name may suggest), parents and patrons new to the concept of Banned Books Week can approach it with positivity. One way to do this is to not only focus on the yearly top ten most challenged books, which almost always revolve around current sociopolitical flashpoints, but to dive deeper into lists of frequently challenged books, which can reveal surprising and sometimes absurd scenarios which open the door to more nuanced conversations about book challenges. The thematic language and imagery of Banned Books Week, as well as the encouraging statistics pointing to most content challenges being unsuccessful, can lead to the admittedly stirring battle cry that the library “doesn’t ban books.” This is unfortunately not the whole story, at least given the layman’s understanding of “banning” a book as removing it from public access through the library’s collection. 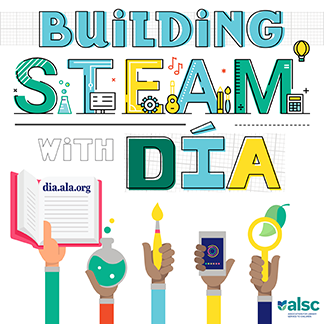 The occasional successful challenge aside, library staff often find and quietly deal with outdated materials, mislabeled YA or adult titles, and other situations that speak to managing a healthy library collection through criteria and policy. Even conversations about which books are being purchased, displayed, and/or promoted due to concerns of authentic diversity and representation can lead to tricky questions about censorship and bias. Because of this, it’s important to avoid the position that the library “doesn’t ban books,” which is technically correct but oversimplified and potentially misleading. Instead, Banned Books Week offers a perfect opportunity to elaborate on the library’s role in providing equitable access, both through fighting efforts to remove access to books and through expert maintenance of a dynamic, relevant collection. So, how do you fit all of these ideas into a tiny display space with no room for additional materials and no complementary programming? Thankfully, it doesn’t take much to elevate a Banned Books Week display beyond a simple lineup of controversial titles in order to get people thinking about some of these more complicated elements. One easy way that many libraries employ is to simply hide the title and author of the books and create a “blind date” display. 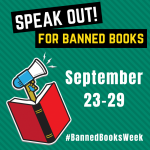 When someone expects something controversial and ends up with a popular and widely available title like To Kill a Mockingbird or a Harry Potter book, it can be enlightening in terms of what Banned Books Week is actually celebrating, and underscore the difference between a ban and a challenge. One of my personal favorite methods is to create bookmarks or display materials that contrast a challenged book’s literary awards and nominations with the specific cited reason(s) someone deemed it inappropriate for a library’s collection. This does three things at once: it quickly defines the concept of a book challenge, it explains why the books are still a vital part of the collection while others might not be, and of course, it boosts circulation by enticing young readers to pick up a book some grownup thought they shouldn’t see. Whatever you choose to do, and however much attention you want to draw to it, your library will benefit from an approach to Banned Books Week that goes just a step or two beyond the marketing materials, at least in terms of how it is presented to the community of young readers and families you serve. Justin Azevedo is Youth Materials Selector at the Sacramento Public Library and a co-chair of the ALSC Intellectual Freedom Committee.